Today I have a review for Heart of the Raven, a book by author Joleene Naylor, which is book 5 of the Amaranthine series. Katelina has barely recovered from the chaos of Malick’s revolt, yet she and Jorick must go to Munich to testify before the True Council. All hopes of a vacation are dashed when they’re assigned an entourage that includes Verchiel, a vampire Katelina never wants to see again. Her hatred is forgotten when Malick and his henchmen penetrate the stronghold in Munich. Jorick hijacks the trip and diverts them on a quest to reclaim the Heart of the Raven. Said to be the disembodied heart of Lilith, the relic may be more reality than myth, and if it falls into the wrong hands it could have disastrous consequences for the world. Can they reach its hiding place before Malick? 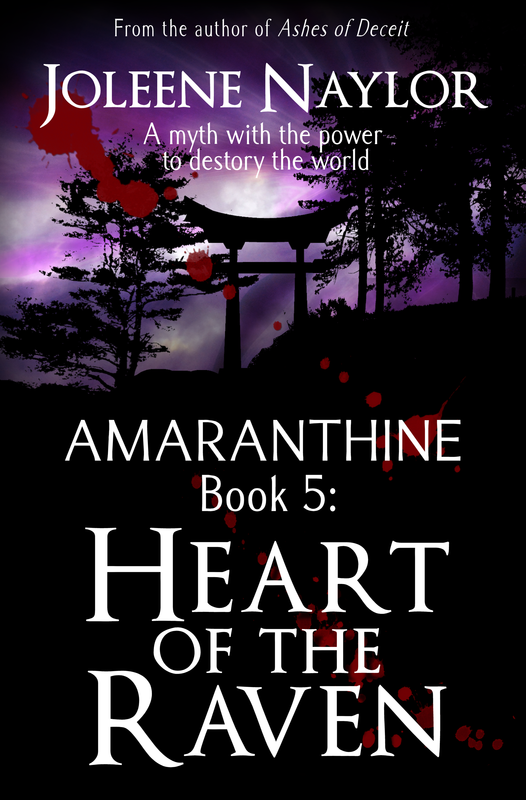 The fifth installment of the Amaranthine series sees Jorick and Katelina draw closer as they surround themselves with their own miniature army to outwit the machinations of the ancient master. Katelina grows stronger and learns to stand on her own because there’s no room for the fainthearted in a world where darkness is eternal and the night tastes like blood. Superb story! A great read. Couldn’t get enough! I love vampire books and this is definitely one of my favorites of all times. There was enough violence and humor to satisfy my need for the supernatural. Though I love a good overall vampire romance, every now and again I crave a dark romance, with plenty of action to keep me interested and Heart of the Raven definitely did it for me. The characters are so convincing there were times when I did not feel as if I was reading a story at all. The plot was definitely interesting and kept me intrigued to the point where I just had to keep reading to find out what was going to happen next. This is one series I will definitely read again. Over and over. In her spare time she is a freelance artist, book cover designer and photographer. Her current projects include the sixth novel in the Amaranthine series, and The Terrible Turtle Conspiracy, a web manga collaboration with writer Jonathan Harvey. Joleene maintains blogs full of odd ramblings and hopes to win the lottery. Until she does, she and her husband live near Bolivar Missouri with their miniature zoo. However, unless she starts buying tickets she may never win anything. Fantastic review. I agree the books are terrific. The minute I finish one, I want the next.